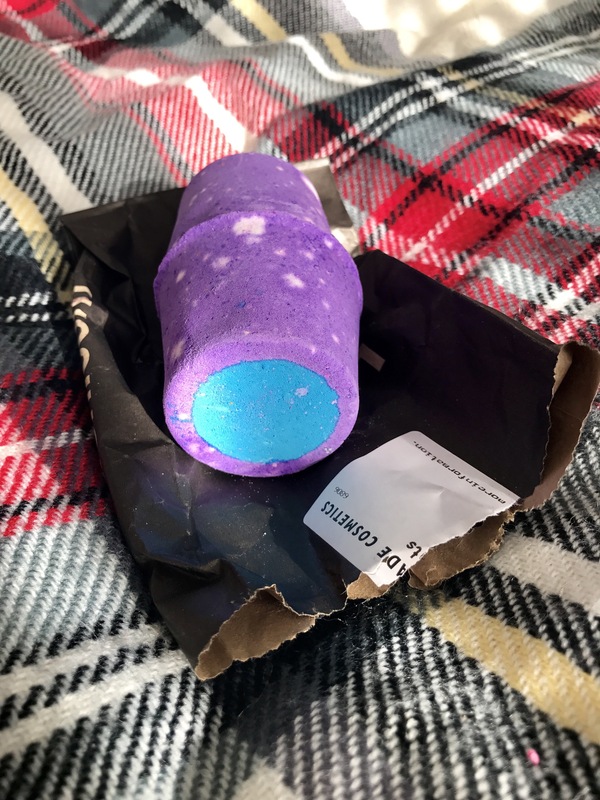 Although I bought majority of the following around the same time I purchased the LUSH Halloween products, these delights have been sitting in their bag until now. I’ve been incredibly strict with myself and haven’t touched a single product. 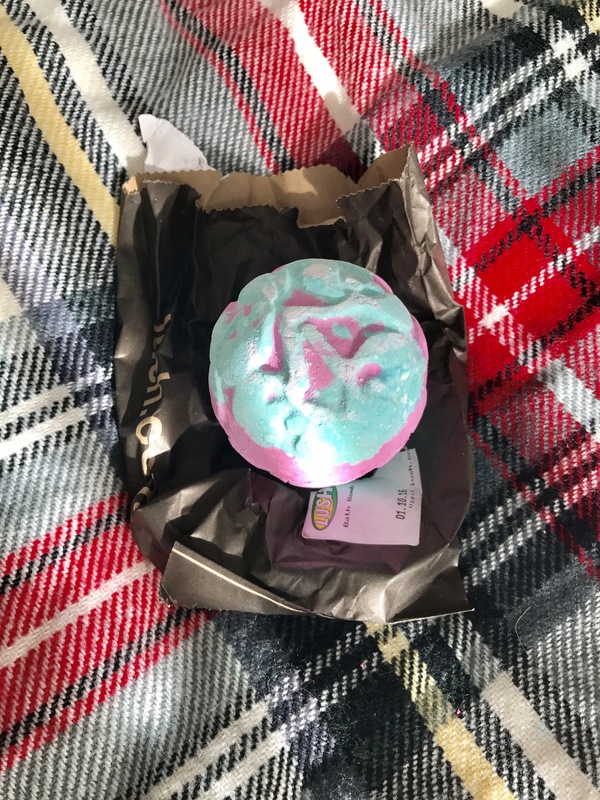 The first product is the ‘Northern Lights’ bath bomb. 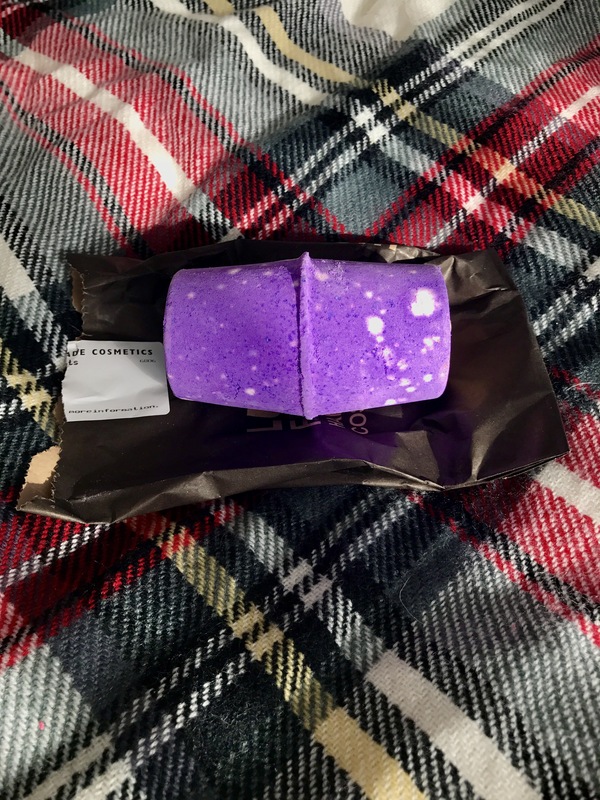 I visited Finland back in 2011 and fell in love with the country, I was there during the summer and haven’t visited since (although I hope this changes soon) I feel like this bath bomb (for the time being) will be the closest I get to seeing the actual northern lights. This product smells rather floral yet calming which is probably due to ylang ylang oil within it whilst I’m sure the varying orange and blue patches on either end of the product will allow the product to be quite the show stopper in my bath. Design wise, this product is one of the most aesthetically pleasing. Although not the traditional brown colour usually associated with Christmas puddings, LUSH have put a rather bright spin on one of the most associated food items of Christmas. I believe this product first made its appearance last year, I didn’t purchase it then, but thought I would try it this year predominately because of its calming aroma. The smell of lavender is beautiful and will definitely help me calm down and unwind if it has been a busy day. On a completely different side note, does the colour remind you of Mr Blobby? 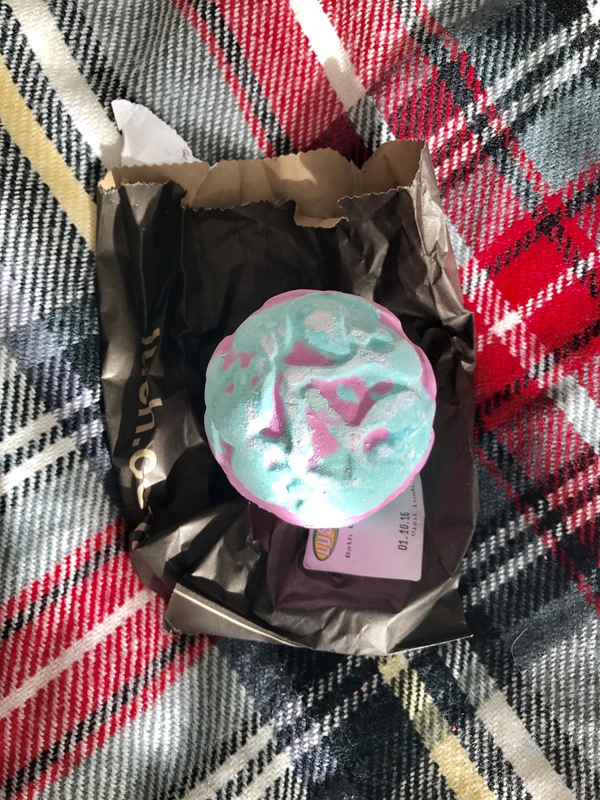 This product is a little gem, the bright pink and blue tones remind me a little of the ‘Monsters Ball’ bath bomb which made a debut this Halloween. The ylang ylang oil is ever present, similar to the ‘Northern Lights’ bath bomb featured earlier. Perfect for a calming festive bath. 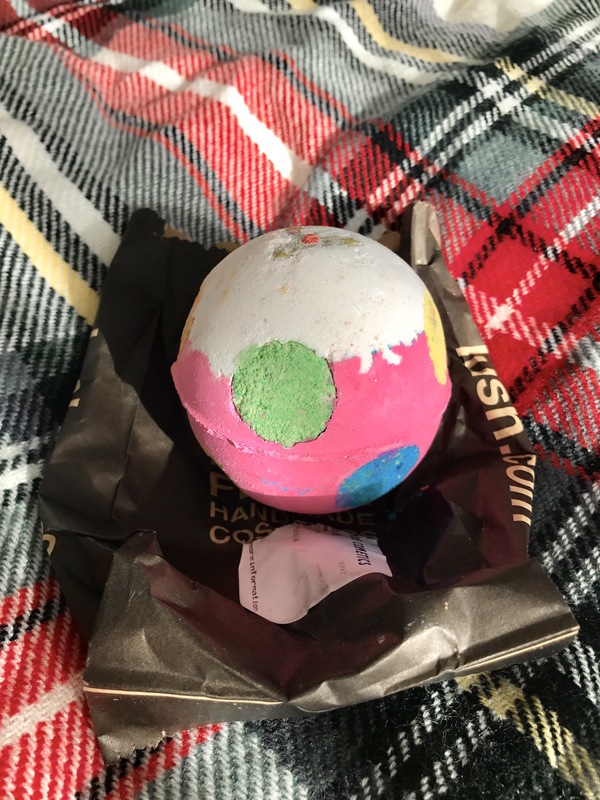 When I was a lot younger and watched LUSH hauls on Youtube, this bath bomb was always featured alongside the LUSH ‘Christmas Eve’ bubble bar. Now I’m older it appears that it’s been redesigned. 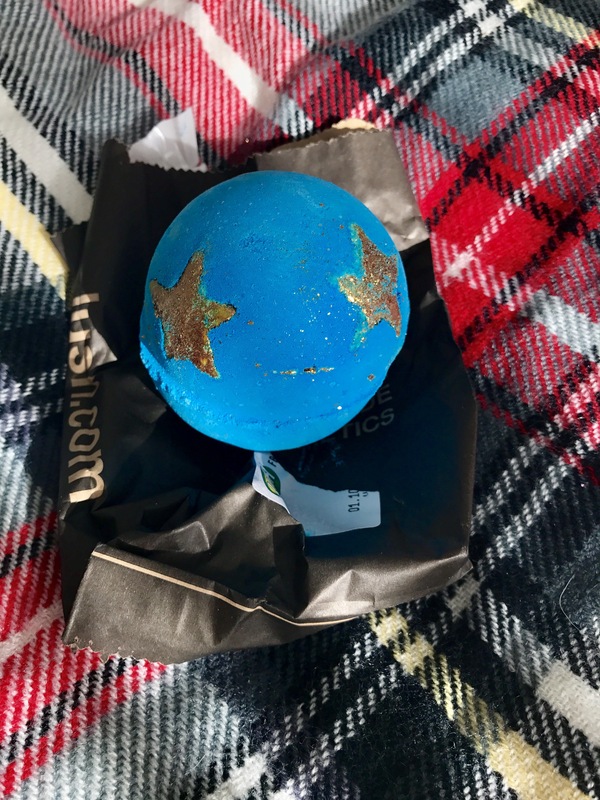 Although it is a bath bomb, the golden stars embedded within it act as bath melts which aim to moisturise and soften the skin. With brazilian orange and bergamot oil I’m sure this bath bomb will be a nice evening treat. Magic of Christmas Bubble Bar. 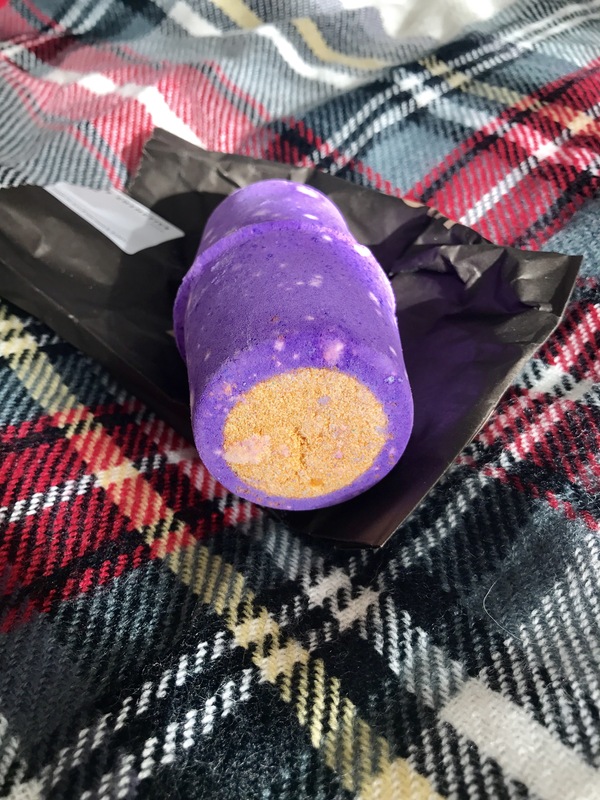 I was so relieved when I found out that this bubble bar would be making another appearance this year. I purchased it last year and the smell is simply divine. If anything summarised all the scents of Christmas, it’s this product; oranges, spices, cinnamon, how perfect? Although pretty pricey, you can get a minimum 3 – 5 baths worth out of this product, which justifies the price in my opinion. 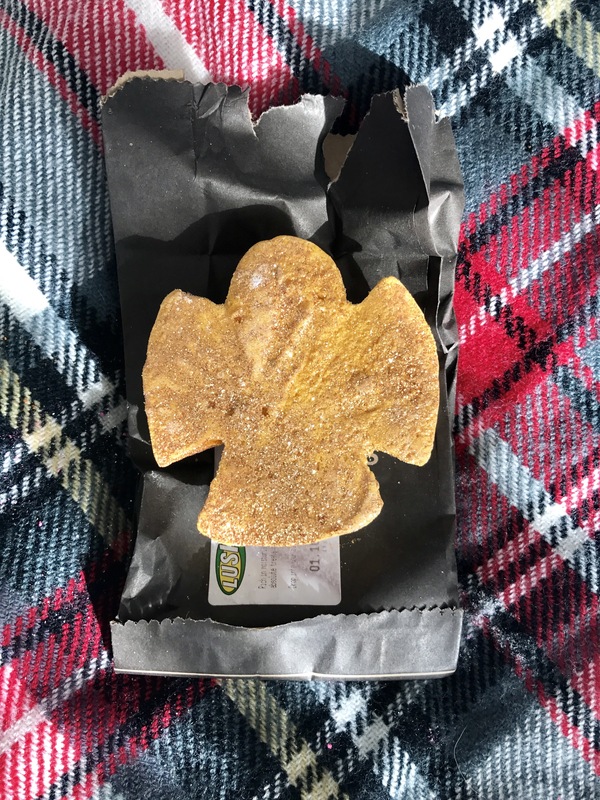 I like the fact that LUSH includes actual spices like the cloves and star anise within the product, it gives it that festive touch. I can’t wait to indulge in a mountain of Christmassy bubbles. 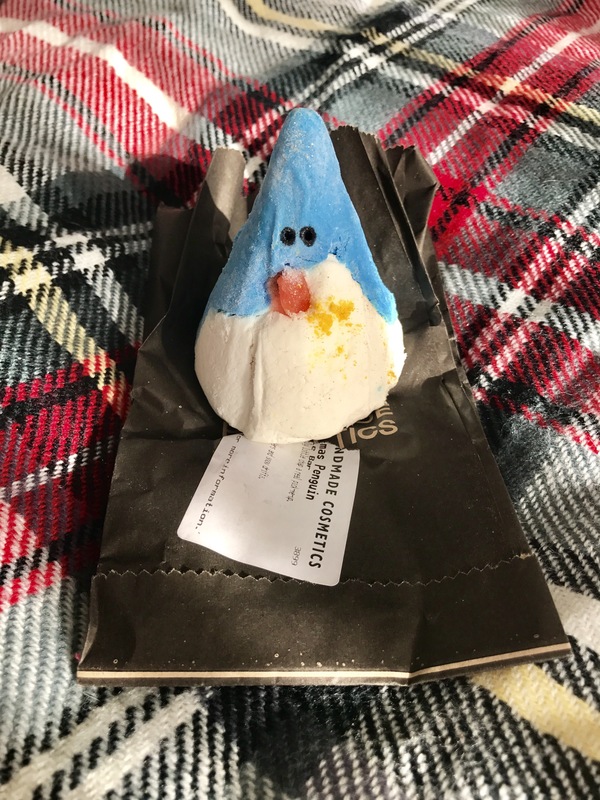 The Christmas Penguin Bubble Bar. Can we just take a second to appreciate how adorable this little guy is? This product is one of the reasons why I love LUSH so much, I doubt you would find anything this novelty and fun in other high street stores.Cuteness aside, this bubble bar appeared in 2014 and although I didn’t purchase him I’m glad he/she made an appearance again for 2016. This product has a uplifting citrus scent, which will perk up any cold winter night. 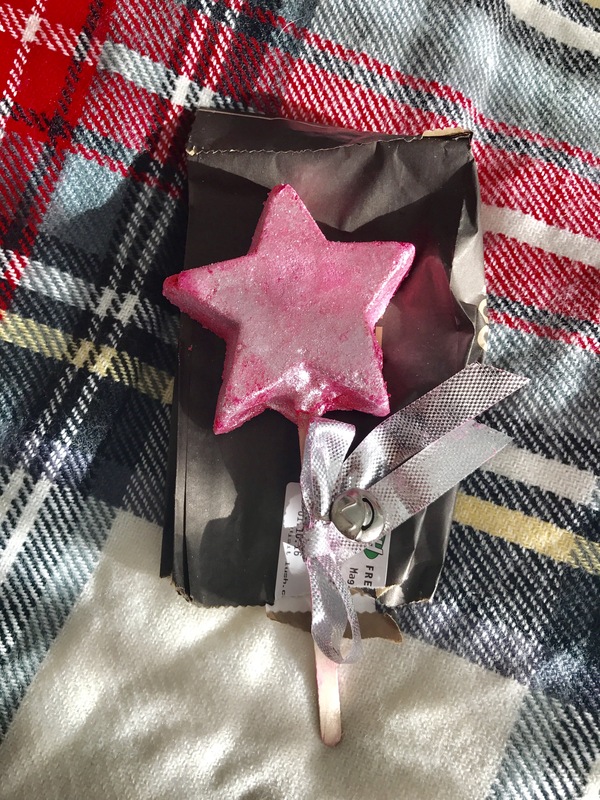 Finally, we have another classic, the ‘Magic of Christmas’ This product has the scent of snow fairy so what’s not to love? 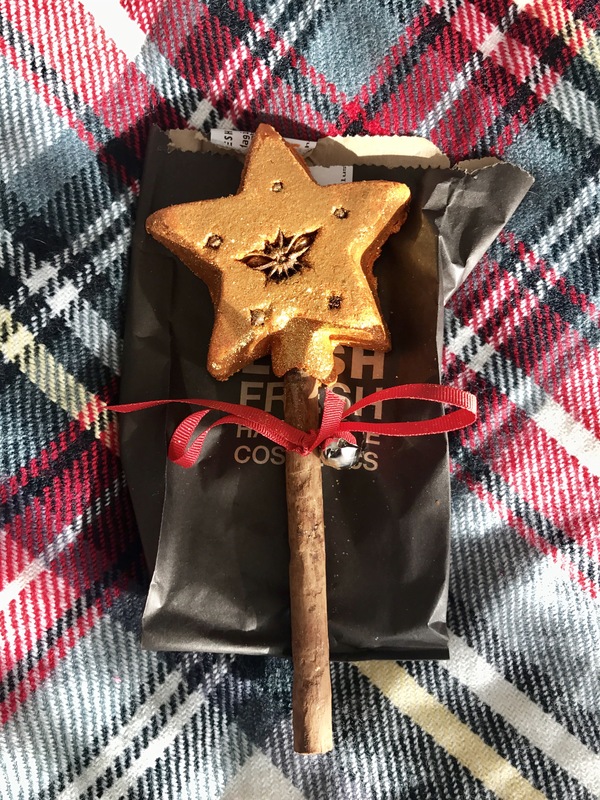 This product reminds me of a wand the good witch would use in a Christmas pantomime, with its bright pink colour, and glittery lustre, and adorning little bell. This would make a perfect stocking filler for anyone who loves sweet scents and needs a bit of uplifting and fun in the tub. I honestly believe that bath melts are incredibly underrated. 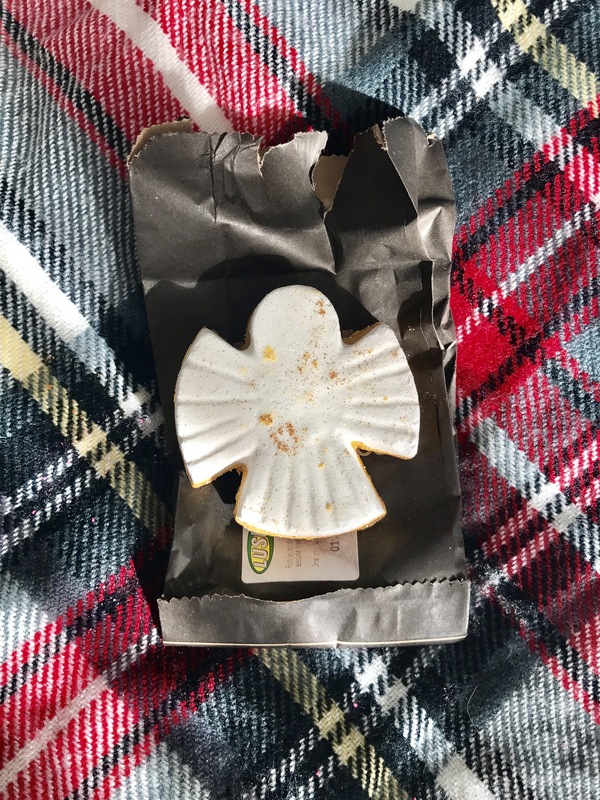 Although they might not leave fun bath art in your tub, they are unbelievably nourishing for the skin and make you feel as if you are bathing in pure silk. Snow angel is covered in golden lustre on one side, and is plain white on the other. As cocoa butter is included, I think this bath bomb would be ideal if your skin is feeling dry and in need of some care. I will be saving this for when the weather is a lot cooler. Sadly, I haven’t purchased any of the LUSH christmas shower gels so far this year. Usually, I always buy a large bottle of snow fairy, however I still have a small size one from last year, so I can’t really justify buying another. I will pick up a ‘Rose jam’ closer to Christmas as I absolutely adore the scent, it reminds me of turkish delight. Before I do so, I need to try and work through my shower gel stash I’ve built up throughout the year mainly from gifts and presents. 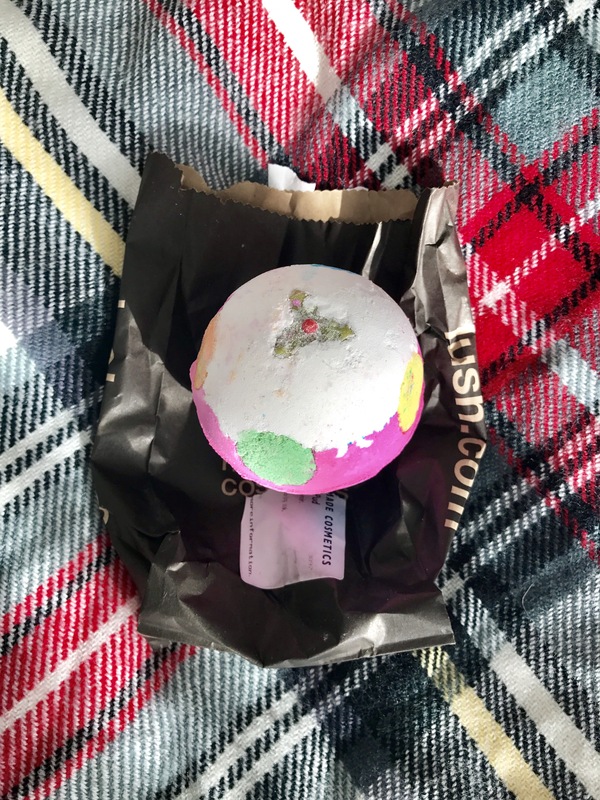 What are your favourite LUSH Christmas items? Comment below, I’d be interested to know. Great post! Has really helped me think about what I am going to order next time!